Bus 249 Coconut Grove Shuttle stops in front around the corner on Virginia and Grand. We offer a private wine cellar up to 8 people. Not recommended for Lunch, short staff that let people sit for long periods of time with out service. Staff did not recognize Open Table reservation nor how to credit the visit to our card.. It is a luxurious Hotel and great ambience. Have enjoyed breakfast & dinner there with friends. Consistently delicious food, great hues rancheros, frittata and wonderful oatmeal. 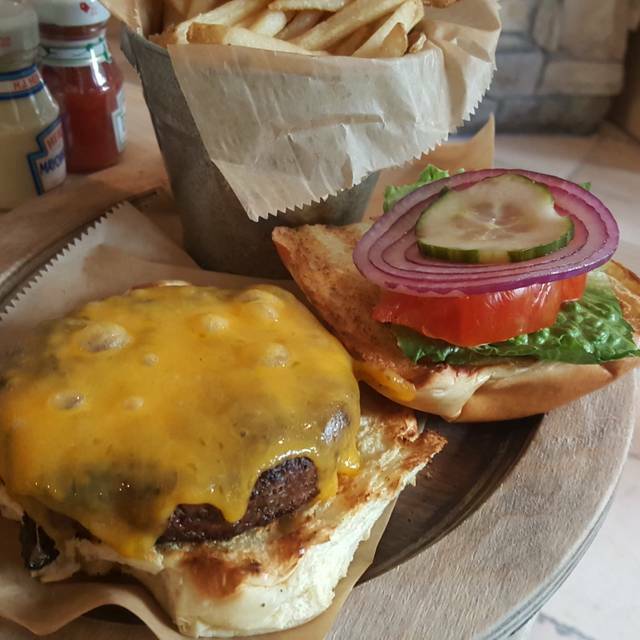 Large portions so you can definitely share or take a doggie bag home for the next day. For diner is had their roasted chicken with sweet potato mash, very good. 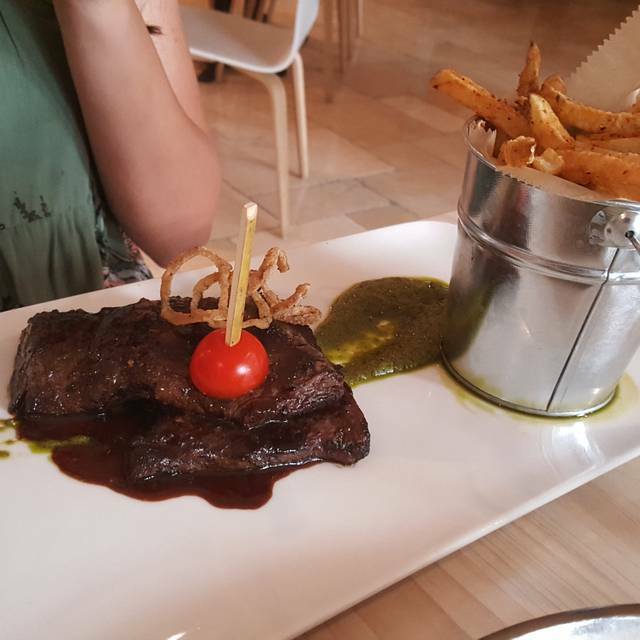 My friend enjoyed the skirt steak with fries. Personally I have not yet had their wood oven pizza however friends have and they enjoyed it very much! So, I encourage to go support locally owned restaurants with many locally sourced products. Bon appetite!! The food was very very salty. I had a headache after eating the fish. 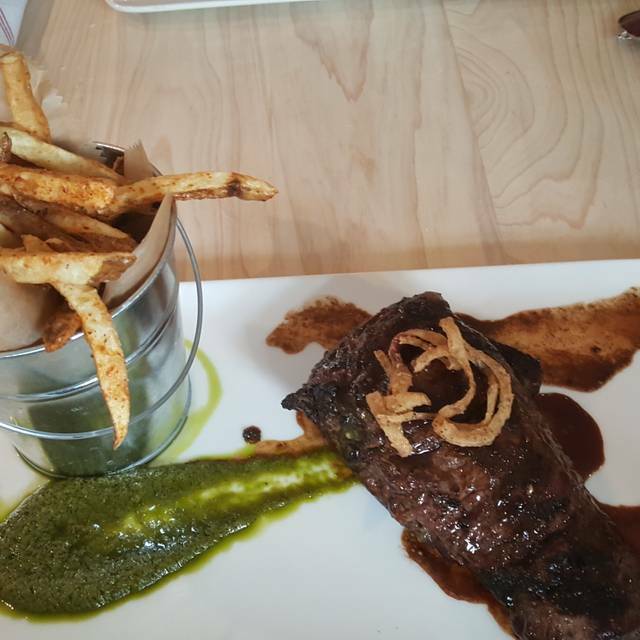 This is a difficult review because the menu suggests creativity, taste, and flavor. A balanced meal is proffered, but management of the kitchen may have been missing. I had three items from the menu: The roasted Brussel sprouts were flavorful but not trimmed properly thus making a portion at the stem too hard to chew. The roasted garlic bulb was overcooked to the point of mush - not to my liking. The garlic was also served with a crisp bread that was salty and peppery, very nice. My dinner, Yellowtail snapper was grilled will salsa verde, pepitas, and avocado. Asparagus was promised but I could not detect it. This was our first visit. The wood fired pizzas are quite good. I do wish they had more topping options or create your own pizza. Nice place with a good service and a nice atmosphere. There was no host/hostess to check us in. I said I had an open table reservation to our waiter, he had no idea what that was and showed me a reservation book where people call in and they write it down. Waiter had a name tag that read pool boy. He was not familiar with the menu at all nor the drinks they served. We asked him for water several times and finally got it 15 minutes later. The restaurant was a little on the warm side too, however, the food was excellent once it came. There's an automatic gratuity charge of 18% which in our opinion was not deserved at all! When I was leaving I reminded him again about having someone check me in for Open Table. Next day I looked and it had not been done. I had to call Open Table myself and explain the situation. I believe if the employees don't know what Open Table is, don't even know how to check guests in with Open Table, they shouldn't be on the Open Table list. The food was delicious! 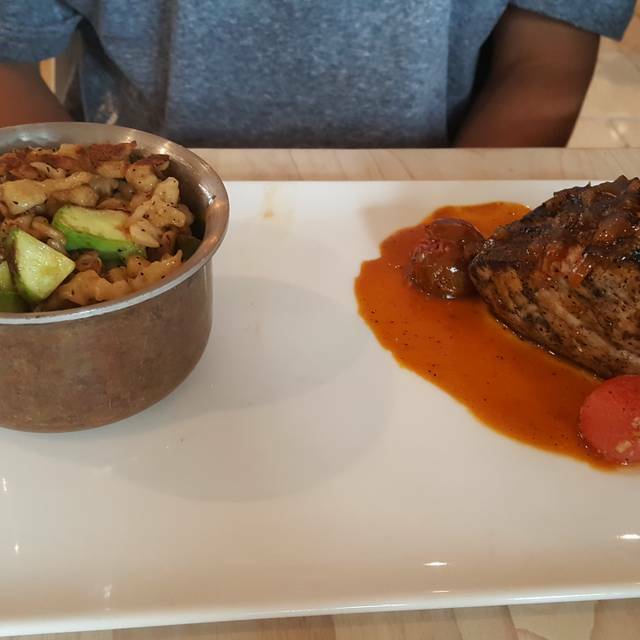 We had the oppotunity to try the Miami Spice Lunch menu. Everything was delicious and cooked perfectly. The portions were perfect (not too big or too small). The only thing I would improve upon would be the service overall. Also, the restaurant did not have a drink menu. Very little Ambiance, stark interior. Food and service were good but restaurant needs a face-lift and decorating. Has an "empty" feeling. While food was good, there are too many other great choices within easy walking distance of Mayfair for better dining. It has the feel of a "casual breakfast restaurant," not somewhere I would rush back to for dinner. I ate there on two consecutive days. I had the scallop as an appetizer on one day and the fish dip the following day. The scallop was cooked to perfection. The fish dip is made on site and is delicious. I ordered the same entree on both days, the delicious swordfish.The pear panna cotta for dessert was divine. 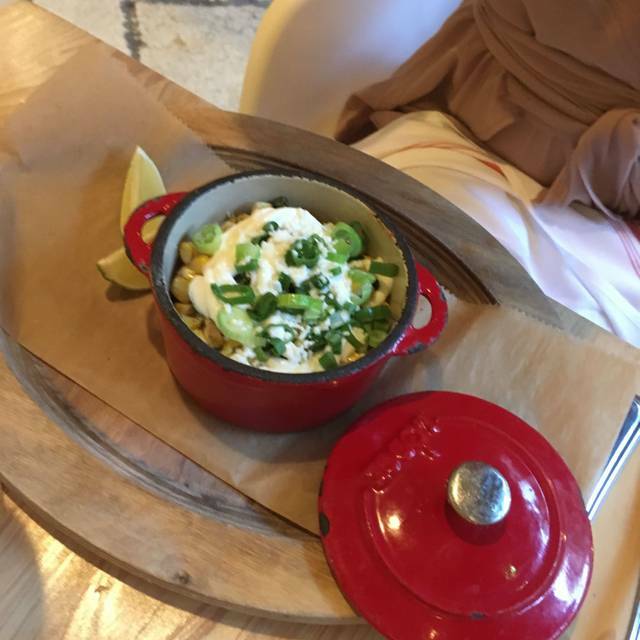 My wife and I had a delicious Miami Spice lunch at the Mayfair Kitchen. We had the lamb and the surf and turf which were both amazing. We also really enjoyed the croissant pudding and the panna cotta for dessert. While the food was very good, delicious, well presented and good sized portions, the ambiance was that of a cafeteria, which was disappointing. The servers were very attentive, but there was only our party in the 'restaurant' for quite some time, so we had their full attention. It's appropriate for hotel dining, but can't say that I would venture back there for a nice evening out. A rainy day isn’t enough to stop our quest for new dishes thanks to #MiamiSpice. Enter Mayfarir Kitchen at the Mayfair Hotel in Coconut Grove where we were greeted with the wood burning open fire 🔥 oven juxtaposed with the water fountains highlighting the background of the Mayfair Hotel. Right outside of double doors our seats patiently awaited us in the covered patio where we enjoyed the rainy day. As we sat down we took in the view while deciding what to indulge in from our MiamiSpice menu. 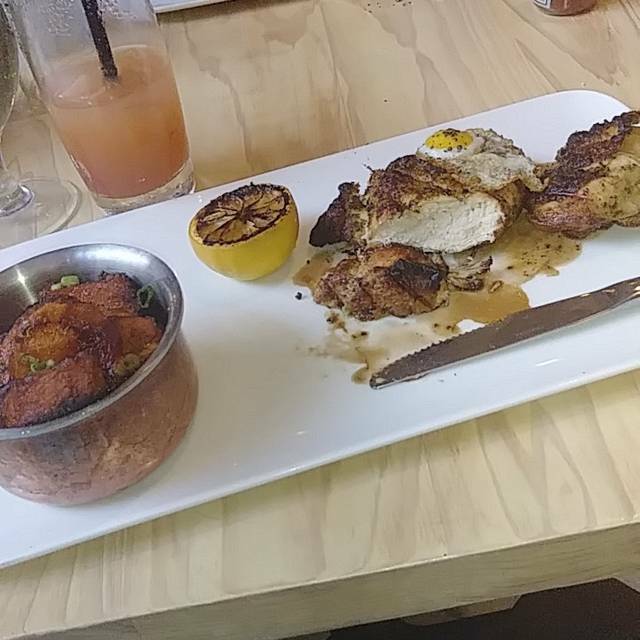 We took pleasure into different food delicacies like scallops, surf and turf, lamb chops, pan a cotta, and a cookie skillet. Was great Miami Spice menu for a nice weekend lunch! I would think portions might be small for dinner, but the food was EXCELLENT! Service was very good and with the beautiful weather, we had a great view of the courtyard fountain which was very relaxing. Service was great and the food was GREAT! We had small plates and they were great: grilled octopus,guacamole and the corn dish . There were so many things we wanted to try. Had breakfast twice too! Try it!!! Fantastic. Came for Miami Spice during lunch and thought it was a good deal for what we were given. Besides my mother and I, there were only 2 other people in the restaurant, so vibe was very quiet but it was a good eat non-the-less. The lunch proportions were good, and the appetizers were great for the Miami Spice deal. Probably my favorite part of the 3 courses. The food was overall good, as was the service. Don'y expect any specialty cocktails. We tried to order some special drinks on a menu they had, but they had none of the ingredients. I don't know if I would come here again, but glad I got to experience it. Great food , great service. The best scallops ever :) love it !!! Sunday Miami spice band on Sunday days. Since they have a brunch, they sent us to the rooftop pool deck. 1 flight stairs after 5th floor elevator is out. Began to rain and forced ourselves to be accepted at regular restaurant. Live music was good but extremely loud. Food and service excellent. Nice Restaurant. The ambiance failed to impart a sense of fun within the restaurant. Also, the staff was inattentive and appeared to not take pride in their work. The menu read super well, and didn't disappoint in terms of flavor or presentation. The biggest problem was the super-dull wine list that did not offer anything interesting by the glass or bottle. The food was so delicious everything was beautiful thank for making my anniversary special for me. Been back four times and everytime the food is as good as last time, no small thing in Miami. The chef has a special way with vegetables and don't miss the garlic bread and parmesan spinach. Welcome addition to the Grove. Food is totally delicious and love the small plates. Good value for the dollar too. A welcome addition to the Grove restaurant scene. We had a delicious dinner in a beautiful atmosphere at Mayfair Kitchen. We were welcomed by Chef Ted with great warmth and hospitality. The seared scallops and beet salad were standouts. We’ll be back again soon!